Life-threatening illness. Language barriers. A shortage of doctors–or no doctors nearby. 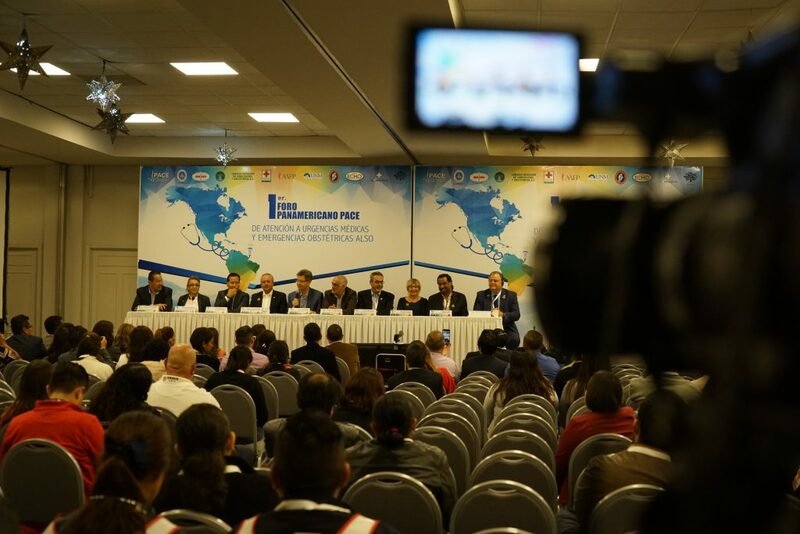 The 2018 Forum was multinational, including the U.S., Canada, Mexico, Colombia, Venezuela, Brazil, Honduras, Chile, and Puerto Rico. The Forum met in a spectacular city! We worked together to bridge the gaps for Global Health and Emergency Care in Mexico and Latin America. We brought together professionals from all practices: specialists, generalists, nurses, midwives, paramedics, public health specialists, and even senior Mexican health ministry officials. We showcased Dr. Sanjeev Arora’s astounding ECHO Project from the University of New Mexico. This is a game-changer that we need to apply to emergency care; in the future, we’ll look for opportunities to do this for Cardiac Care, Trauma, and High-Risk Obstetrics. We also plan to assist other entities interested in Telementoring. We hosted the ALSO International Meeting, and the National Director of Epidemiology for Mexico was on the ALSO International Panel. Lively discussions surveyed Maternal Mortality in the Americas. We successfully piloted the ALSO-E with a cohort of emergency medicine residents from Aguascalientes, Mexico (which Dr. Portia Jones suggested that we change to the ELSO: Emergency Life Support for Obstetrics). Dr. Tintinalli volunteered to write a chapter, and Dr. Tintinalli became an ALSO Instructor during the program. AAFP has already committed to developing an English version of the emergency department ELSO course. We trained a cohort for the Mexican Marines; in the future, they’ll run the ALSO Program within their institution. We expect similar progress in the rest of the armed services in Mexico someday. We have completed the same training for an ALSO group from Chile and a group from Puerto Rico. We rolled out the Emergency Nurses Association’s Trauma Nurse Core Curriculum (TNCC) with the UNAM ENEO Graduate School of Nursing. This course is destined to become the gold standard in Latin America, massively improving trauma care! Jeff Solhiem and his amazing instructors, Manny Santiago, Juan Morales, and Valerie Pedrami, carried the whole week. We debuted various learning management platforms for ALSO and for TNCC, and we learned a lot doing it. There’s more work to do on this, but we are off to a great start! We taught the PACE SONO to EM Residents from the State of Aguascalientes. They will continue their work and there’s a firm connection with David Martin and the emergency ultrasound fellowship at Highland hospital in Oakland. Ongoing development of the PACE SONO course, including the advanced course and other strategies, will help integrate EM SONO into Mexican emergency care. Within the AGS residency group, we created a highly successful Research Focus group, including Gary and Monica Gaddis, Angel Brana, and Nishant Kishore. The PACE Research Focus Group is already collaborating with the residents. Angel Brana led the PACE-D Disaster Focus Group and showed us the path to developing this very important program. This course will focus on hospital and industrial management of disasters. PACE and the Federal Neonatal Resuscitation team have adopted each other! We have a deployable NRP team. With the help of Dr. Renate Savich and Carlos Ramos, we better established our capabilities to develop Helping Babies Breathe instructors, thanks to the few master trainers we have in our network. A good number of international faculty attended the Administration and Governance meeting. Special thanks goes to Bob Suter, Terry Mulligan, Lisa Moreno Walton , Portia Jones, Gary and Monica Gaddis for their help and direction!